If material needs to be moved vertically, chances are a bucket elevator is the ideal solution for the job. In fact, the versatility and configurability of this equipment make bucket elevators a common material handling system in a number of different industries. Listed below are basic facts that highlight why bucket elevators are commonly used, with key elements to consider when choosing whether or not this equipment is the right material handling solution for a particular application. In simple terms, bucket elevators vertically convey bulk materials. They are considered similar to conveyor belts, with the greatest difference being that bucket elevators move material using buckets attached to a rotating belt or chain. The buckets work to pick up material, move it to the desired endpoint, discharge material, and finally return to the starting point to pick up a new load. Bucket elevator configurations are engineered based on the application, material, required horsepower, and elevator height. Configuration options include centrifugal bucket elevators and continuous bucket elevators, with both models including belt and chain options. A centrifugal bucket elevator employs centrifugal force to throw material out of the buckets as they travel over the head pulley or sprocket. This type of bucket elevator operates at a higher speed and spaces buckets further apart versus continuous bucket elevators. The result of the high speed and bucket spacing is optimized material fill and reduced interference between buckets. Centrifugal bucket elevators are available with a belt or single chain. Continuous bucket elevators operate at a low speed with closely spaced buckets compared to centrifugal bucket elevators. This action permits material flow over the backside of the preceding bucket. Additionally, extended sides on the buckets gently guide material into the discharge spout. These modifications create an ideal environment for fragile, abrasive, and sluggish materials. Benefits include limited material aeration, minimized breakage of friable material, and minimized product damage of fragile material. Continuous bucket elevators are available with a belt, single chain, or double chain. In addition to varying configuration options, there are also a number of bucket options available, with material and elevator design being primary bucket selection criteria. Other bucket elevator features include removable top covers, access doors for easy maintenance, and horizontally and vertically heavy-reinforced, jig welded head, boot, and intermediate sections. Bucket elevators are not recommended for use with material that is wet, sticky, or has a sludge consistency. These types of materials tend to create discharge issues, with build-up being a common problem. After building custom bucket elevators for more than 60 years, FEECO’s bucket elevators are able to meet even the toughest of challenges. 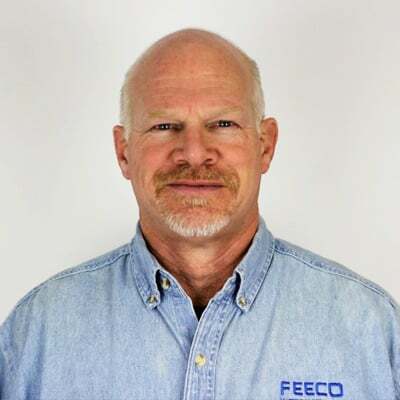 Whether a customer is looking to transport a dry, dusty material or a heavier, more challenging product, FEECO can custom engineer a bucket elevator solution to meet the needs of any material handling application. 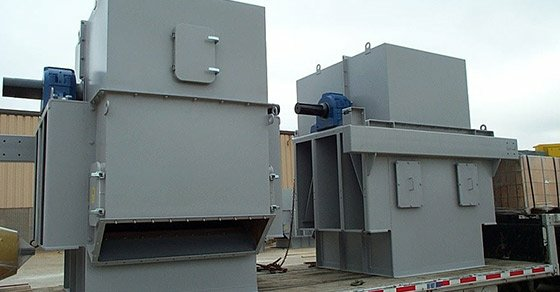 For more information on bucket elevators or other material handling equipment, contact us today!